Bullying Michael Orey Tries to Censor this site - Again!!!! Camera-smashing Michael Orey, also known as Michael Oreyomi is trying to stop you finding out the information here. Please let people know, facebook, twitter and email about this attempt at censorship. This photograph shows Michael Orey just before he grabbed Julian Jackson's camera and smashed it during the 2011 ballot campaign (which the TMO lost - see below), which he admitted in court. It is important that he does not succeed so please feel free to mirror this site or circulate any information and images contained herein. We would appreciate a credit or link back. We are happy to give interviews and provide further material if required. Thanks. A Decisive Victory! The community votes NO! A decisive majority voted No, so the TMO project will now cease. Here is the Chair of the TMO in development during a TMO "Fun Day in the Park" in 2009, refusing to answer quite reasonable questions such as "What qualifications do you have to run the estate?" Residents surely want to know this. Do you think that this is proper behaviour for a public figure whose organisation is in receipt of hundreds of thousands of pounds of our money? 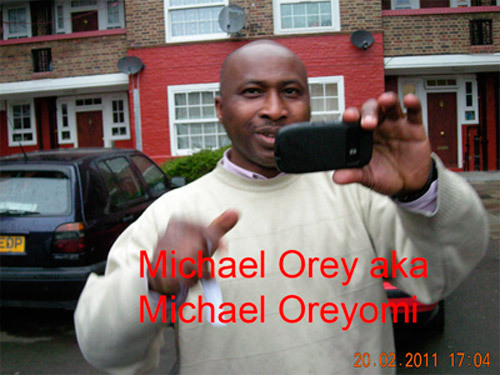 Michael Orey/Oreyomi came round to to NoTMO founder Julian Jackson's flat at around 6.15pm on Tuesday 30th November and made ranting threats, including that he (Julian) should come down to the car park, which Julian took to be a threat of violence, through the entryphone as herefused to allow him in to the block. Orey/Oreyomi's ranting and raving, as far as he could tell, centred around this website www.notmo.org.uk and the video of him above, which has already been cleared as completely legal by both the council and the police. This TMO already seems to be a Rogue TMO. Rogue TMOs are unaccountable, run by a little clique, and collapse under the weight of their own amateurishness, mismanagement and corruption. Don't let that happen here. Read about Rogue TMOs here. As the vote nears need more volunteers to join our campaign to ensure our homes are safe for the future. Our campaign is gathering strength. Vote against the TMO to remain under Southwark's competent, transparent and accountable management. £213,175.25 in their 11 years of "development". 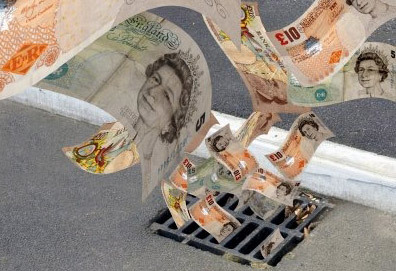 And they want One Million Pounds Per Year! They didn't tell you that, did they?